Well, I know Jing Jing has gone through a lot of hell, but the girl has changed so much, and I don’t mean for the better. Sure, she’s making the big sacrifices for her family as she realizes her mistake in that department a little late, which its nice that she finally realized the truth about her mother (and it’s nice that we finally see the softer side of Mrs. Meng). However, I actually feel that Jing Jing has gotten weaker as a character and not stronger. Sure, she had this lost little puppy side to her from the beginning, but at the same time, she was fierce and strong and full of bravado. Now she’s just a wishy washy girl who looks on the verge of constant tears. And poor Ai Xing must endure it all. She must endure Jing Jing’s pain, Tian Ze’s pain, Ling Li’s pain, Mrs. Meng’s pain, and Ren Wei’s antagonizing. I like how the character is feisty, naïve, practical, and strong in her own way. Sure she would have mad the same sacrifice to save Jing Jing’s and Tian Ze’s relationship, but her decision was amusing in it’s fallibility and enactment, but it didn’t irk me as much as Jing Jing’s. Grandpa in this episode…Ah, I wish my grandfather (God bless his heart) was more like Du in this series! He’s a total riot and in spite of his big talk and actions against Tian Ze and his son at times, you can see how much his children mean to him. I also wish Jing Jing and Tian Ze stopped looking back. Tian Ze will take a while to get over his first great love. Fine. I mean yes he’s still affected by Jing Jing and her decision, but he was at least moving forward as much as he could. And then what happens? Jing Jing just cannot get up the gumption to go forward with her decision unless she has that one last time with Tian Ze. How selfish can you get? And how stupid can Tian Ze get for going along with the idea? You know, in dramas, this one last time thing never goes over very well. You know, money technically DOES grow on trees as even if it’s special paper, it’s still paper made from trees. Sorry, couldn’t help the smart aleck comment. We start in the hospital with Mrs. Meng waking up. Jing Jing brings her some water. Her mom demands to know if Jing Jing really loves Ren Wei. She then asks the question (which I’m fairly certain she already knows the answer) of why Jing Jing is marrying Ren Wei. Jing Jing just throws her mother’s words back. What’ words? Didn’t Mrs. Meng say before that she could see how Ren Wei cared for her? 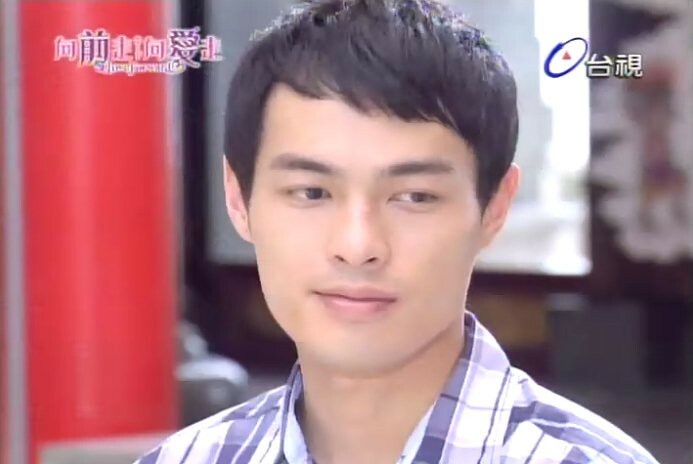 Jing Jing lies and says she believes that his feelings really are true and that she and Ren Wei can be happy together. Mrs. Meng brings up the recent events involving Ren Wei, but Jing Jing replies that is all in the past. She then asks for her mother’s support, but Mrs. Meng just looks away. Good. Even if Jing Jing is doing this for her mother, she needs to understand that her mom doesn’t have to be happy about it. Ai Xing and Jing Jing go out and talk. Ai Xing pretty much knows why Jing Jing is marrying the director and she disapproves as well. Jing Jing then throws up that quote above how love can be nurtured, but money doesn’t grow on trees. Basically saying that with money, love may come in time, but the opposite can’t be said. Ai Xing then urges Jing Jing to wait awhile before rushing into this marriage. If she waits and sees how the Mei Ze project does, she might be free and clear. But Jing Jing can’t wait. She’s afraid that given her mother’s current state, Mrs. Meng might have a complete breakdown and go crazy. Well, Mrs. Meng has been acting a little crazy at times, but doesn’t Jing Jing understand that part of her reason is because she doesn’t want Jing Jing to sacrifice herself to Ren Wei? Ai Xing then brings up the dreams and wishes they yelled out when they were in college. Jing Jing hasn’t forgotten, but “The day I decided to break up with Tian Ze, my dream was already shattered.” Ai Xing then says the dream wasn’t shattered, Jing Jing just gave up on it. To Jing Jing, she didn’t. She had already experienced her great love. Um…actually, if you think back to her and Tian Ze, sure their were mushy romantic moments, but there was actually more fights and misunderstandings than anything else. IMHO. Of course even if Jing Jing says she has no regrets about ditching her great love, Ai Xing reminds her about Tian Ze. Jing Jing was his dream. Of course, Tian Ze is seen in the background at this moment. 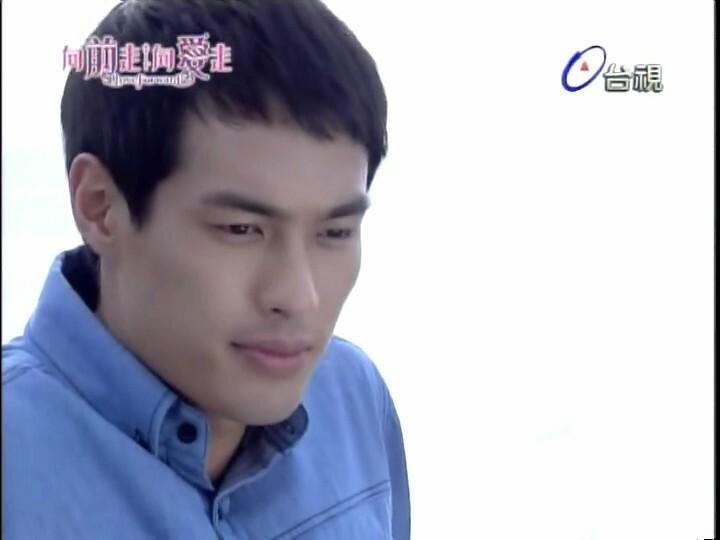 I don’t think he can overhear him, but I wonder as he leaves right after Jing Jing asks Ai Xing about liking Tian Ze. Of course Ai Xing denies this. Why? Well, Ai Xing is naïve and I don’t think she herself really understands the concept of romantic love in regards to herself. This might be because she was always insistent on a love of money over finding one great true love. And off topic, Absolute Boyfriend’s Zhi Xi actually stated that the love of money is better than the love of people as men could never take her scars and dumped her. Thus, money was more trustworthy. Jing Jing was really unhappy in this episode as her allies were all against her. Her mother is against the marriage to Ren Wei and doesn’t want to support her and even her best friend Ai Xing who promised to always be on her side no matter what doesn’t want to support her decision to marry Ren Wei. Why? Well because that decision hurts everyone involved. It probably won’t happen, but I just have this vision of Jing Jing turning into a bitter, evil person while poor Ren Wei who really is in love with her becomes utterly miserable as he cannot get his true feelings through. Wow. I’d never thought I’d be on the Ren Wei band wagon as he has annoyed be sooooo much in this series. While all this is going on, Grandpa Du is out with Zhi Xing. Doing what? They are at a fortune teller’s (well, these guys seem rather fake, but whatever). Grandfather asks after Tian Ze’s fate with Meng Jing Jing. The fortune teller says that they are fated to meet, but not destined to be together. This makes Grandfather happy as he never really liked Jing Jing to begin with. His reaction actually surprised the fortune teller and his partner. Grandpa then asks after Tian Ze and Ai Xing. The fortune teller gives the same fortune and gets scolded by his friend who tells him to reverse it. So what about Tian Ze and Ai XIng? They are destined but not fated. Um…don’t those two words actually mean about the same thing anyways? Grandpa doesn’t care about this as he will become their fate. Ah, Grandpa, you rock. I loved how he used the innocent Zhi Xing to get out of putting money in the red envelope for the fortunes. LOL. Ai Xing and Tian Ze are walking home together when a random man stops and does his own fortunetelling of Tian Ze’s sour expression. Ai Xing eats this up and Tian Ze scolds her for believing. The two go to leave, but when the “master” says how Tian Ze is down on his luck in both his career and love, Ai Xing turns around and asks for his help. I’m actually willing to believe this fortunetelling was more real than the one Grandpa got. Tian Ze then gets his palms read. While his face is no good, his palms show a different story. He’s got a nice, long life line and there’s no break in his wisdom line and his love line curves upward (I’m guessing that’s good…?). The master then says that Tian Ze will succeed and his success will help many others. Fate will lead him to another track. Ai Xing asks if Tian Ze will achieve his dream (does she mean Jing Jing or his career dream?). The master’s wisdom? Tian Ze will successfully swim towards the sea. Tian Ze takes this as really meaning nothing, but it has effected Ai Xing. That master has said everything! So this sends Ai Xing and Tian Ze to a temple. Ai Xing is very devout and serious and Tian Ze seems rather dubious and disbelieving. Ai Xing begs God to give Tian Ze the confidence so he can continue swimming to the sea that belongs to him. She is about to continue when she notices Tian Ze standing. She tells him to hurry and sit down, talk to God, and pray. Tian Ze follows and looks really uncomfortable and lost. He starts out and Ai Xing quickly cuts him off and finishes his thoughts. What more proof do you need that the two are perfect for each other? Tian Ze doesn’t get angry at this and smiles. He lets Ai Xing lead the way. Their relationship is really evolving from the beginning where all they did was bicker. At least most of their bickering was never the serious fighting and misunderstandings he and Jing Jing had. Sure, they had some bad fights (Ren Wei and Ai Xing’s gullibility), but their arguments were more playful in the grand scheme of things. I guess, it’s their way of expressing their love (platonic or otherwise). I love how Ai Xing has all this confidence that TIan Ze can achieve his dream and be happy. She believes in him even when he doesn’t believe in himself. We then cut to Ai Xing at work. Wow. That girl totally stepped into Ling Li’s shoes. It may have taken Ai Xing awhile to find her groove, but now she’s totally awesome and pushing the Mei Ze project to the clients well. She even covers for Ling Li who still has not come back to work with one of Ling Li’s important clients. It’s nice to see how much Ai Xing has grown and how much more Ai Xing is becoming like Ling Li in regards to work. I’m not 100% happy with Ling Li’s flirtatious/seductive method she sometimes uses, but she is an honest, hard-working woman. Meanwhile Ren takes Jing Jing clothes shopping. Jing Jing refuses the clothes, but Ren Wei comments on how she must look the part of his wife. Well, unfortunately, married businessman are judged by their wives as well. Same goes for businesswomen. Jing Jing throws up to him that it seems like he’s bought clothes for a lot of girls. She supposes that he immediately went to a hotel afterward. Ren just smiles and says that these little jabs will be their way of expressing their affection to one another. That totally stole Jing Jing’s thunder. You know, I never understand this when it happens. A person makes a decision. No one forced them to make that decision (sure Ren Wei egged it on, but he honestly didn’t force her to choose to marry him), but they are all pissy about it. Jing Jing seems determined to make the worst out of the situation that she herself freely chose. Due, if you’re going to do this, don’t do it half assed. “Looks like after we’re married…attacking each other will be our way of expressing endearment. I’m telling you, diamonds are worthless if they’re not big. Since he’s so bad, why don’t I take the opportunity to make a killing? Oy. Again, Jing Jing shows incredible immaturity and…petulance? …childishness? And here I thought that was Ren Wei’s forte. Jing Jing then gives Ai Xing a ring and Ren Wei tries to convince “mother” to pick out a present for herself as well. It’s sweet really that Ren Wei wishes to have a good relationship with Mrs. Meng and treat her right. Of course, she is still unwilling to accept him. Can’t say I blame her on the reluctance. Ren Wei then goes over to put on the ring Jing Jing chose. I’ve seen bigger. The quartet then moves on to a wedding shop for dresses and a tuxedo. While Jing Jing and Ren Wei try on their wedding clothes, Mrs. Meng sits crying silently. Ai Xing immediately tries to cheer her up by telling her a story. Mrs. Meng is struck once again by how much Ai Xing reminds her of her great friend. See, again I’m confused as Mrs. Meng asserts her factory work again. She keeps alluding to this in one breath and then the next you have her beautiful untarnished hands and the fact that she has no work history. WHY does this show keep contradicting itself? Anywho, the woman who is most likely Ai Xing’s mom, would hold Mrs. Meng when she was homesick and tell her stories. She would also sew the buttons back on her uniform as they always fell off. Ai Xing asks what happened to her good friend and this saddens Mrs. Meng once more. She doesn’t know as they lost touch. Jing Jing then comes out and Mrs. Meng and Ai Xing exclaim over her beauty. It’s a pretty dress. It really is. I’m just not 100% certain that dress suits Amber Kuo all that well. Then out comes Ren Wei, only Jing Jing sees Tian Ze instead. 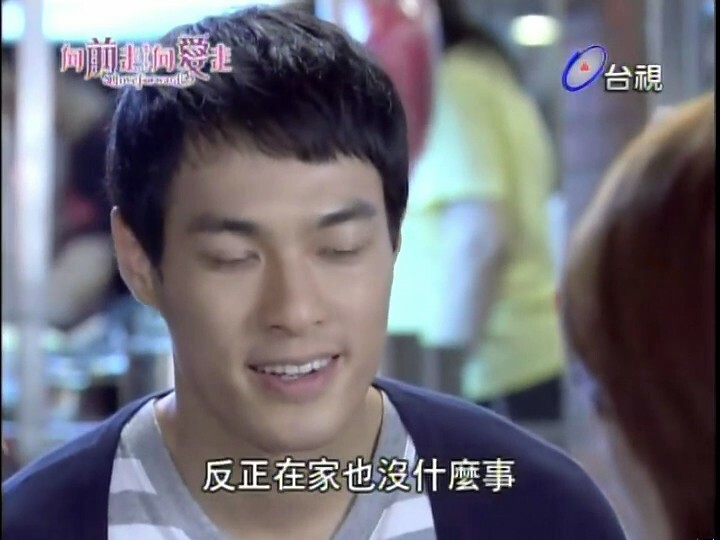 Her reaction annoys Ren Wei as he realizes that she isn’t seeing him, but her ex-boyfriend. Well, does Ren Wei really have the right to be mad? Sure, Jing Jing made her decision and should make the best of it, but still, she never lied to Ren Wei and said she loved him. He knows where her heart is and he’s the one who still went forward. Forget worrying about Mrs. Meng’s health, it looks like Jing Jing’s the one who’s going nuts. Ai Xing gets home and there is TIan Ze. She complains about the amount of things she had to get for the wedding and Tian Ze wonders why she didn’t call him to help. Well, isn’t it obvious? To change the subject, Ai Xing brings out her phone to show him a picture of Jing Jing in her wedding dress. Smooth move. Ai Xing realizes she just committed another gaff and quickly rushes off to the bathroom. 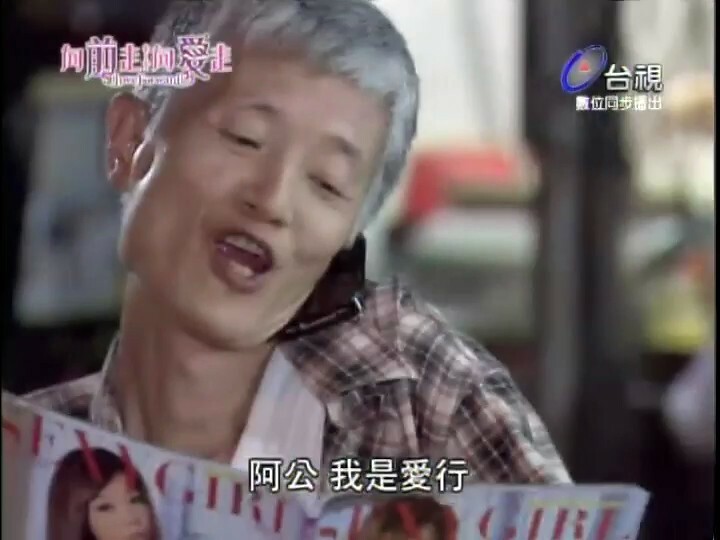 Tian Ze looks at the picture just as he gets a phone call from none other than Jing Jing. When Ai Xing gets out of the bathroom, Tian Ze is gone. Tian Ze meets Jing Jing at the café where they ad their first “feast.” Things are awkward, but that’s to be expected. What girl in her right mind says she expected this wedding process to be unendurable as it should have been for her wedding to Tian Ze. Shakes head. Rub so more salt on that boy’s wounds why don’t you. Jing Jing then makes a very unreasonable request. She wishes to spend the day before her wedding to Ren Wei with her now ex-boyfriend Tian Ze! Ai Xing looks at her dress (which resembles a more modern, short wedding dress than a bridesmaid dress) and then worries about Tian Ze doing something rash. She then proceeds to call in Grandpa so that the old man can watch Tian Ze and make sure he doesn’t do anything stupid in two days. At this stage, I don’t think it’s Tian Ze you have to worry about, but Jing Jing. And how random is it that Grandpa is looking at a girly magazine in front of the innocent Zhi Xing? After Grandpa sends Zhi Xing off, he mutters that he knew Jing Jing would get married and the groom wouldn’t be his grandson. The next morning Ai Xing wakes from a nightmare in which it sounds like Tian Ze might have been going off to commit suicide. It’s at that moment that Grandpa and her brother arrive. Grandpa came prepared with ropes and other instruments to ensure that Tian Ze can’t leave to steal Jing Jing away. Ai Xing says that Tian Ze wouldn’t do anything like that and Grandpa points out that he did and since Tian Ze is a lot like him, he’ll do the same. I love how Grandpa says that tying his grandson up is both a temporary and permanent solution. Temporary as he can’t steal the bride and permanent as he can’t do anything after the wedding night (now that’s old fashioned thinking right there). They then realize that Tian Ze is not at home. This worries Grandpa. Ai Xing tells him not to worry and Grandpa reveals he nearly committed suicide after he lost the first woman he loved. He wanted to become a ghost and haunt the couple. Ai Xing does not find this funny and goes off. Tian Ze and Jing Jing meet at a cliff overlooking the water. Jing Jing wonders if her pain will end if she jumps. Tian Ze says she wouldn’t do that to her mother. Seriously, Jing Jing? Oy. At least they didn’t do something like lovers’ suicide attempt like in My Bratty Princess. Tian Ze then gives Jing Jing an empty box full of their feelings for each other and their memories. He wishes to fill it up even more before the day is out. Oy. Jus say goodbye. Quit dillydallying and making BOTH your lives more difficult. We then get a montage of the “star crossed lovers” having a blast playing arcade games, eating ice cream, etc. I must admit that I find it interesting that even on their last day together, Tian Ze actually keeps bringing up Ai Xing. Suspicious, isn’t it? Ai Xing tries getting a hold of Tian Ze and fails, making her worried while Ren Wei gets angry at not being able to connect with Jing Jing. Ling Li makes a reappearance just in time for Ren Wei’s bachelor party. This scene was priceless. Ling Li acts the gracious host for awhile before being truthful with Ren Wei and tearing him down for leaving her hanging believing he’d come to her after 10 years. I love how she goes to make him a toast and tosses her drink in his face as if she was visibly slapping him. This makes Ai Xing’s night. Ai Xing then sends Yia Nan after Ling Li to make sure she’s okay as their manager stumbles out drunk. Thus begins the start of the Yia Nan – Ling Li love line. I’m on board! We get a scene of Jing Jing and Tian Ze at the beach and they shout out their wishes. Jing Jing’s is to be together with Tian Ze in the next life while Tian Ze’s is to never meet Jing Jing in the next life. Jing Jing’s facial expression and “why” were priceless. Tian Ze’s answer? Because it was so hard on Jing Jing to love him. Jing Jing then calls him a coward and says that heaven was just jealous of their love, but she’s not afraid. She wishes again to be with him in the next life. And I just kept shaking my head and had to resist the urge to face plant on my desk. This scene? This wish? SOOOO not helping the current situation. The two end up in a church to go through what SHOULD have happened and what will NEVER happen now. Ugh. This is while the whole bar scene with Ling Li and Ren Wei is going on. Ah, I still chuckle when Yia Nan pays Ling Li all those compliments and she shows a sudden interest making Yia Nan hold his collar and back off. PRICELESS!!!! Anywho, Tian Ze goes through the motions of a wedding ceremony and rushes off to get something to make it complete and that’s where we end. 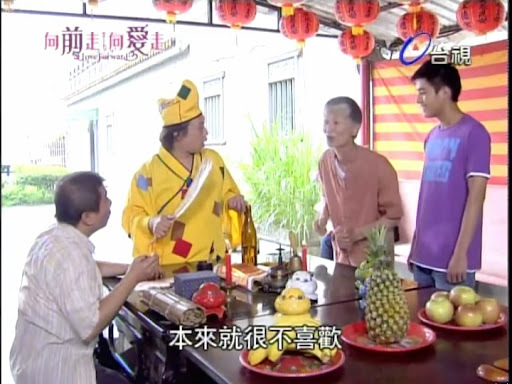 Ah, this episode when Jing Jing and Tian Ze do this really made me want to curse up a storm. I think its very symbolic that Tian Ze and Jing Jing never manage to actually kiss in this episode. I could not handle seeing Tian Ze & Jing Jing together again. They’re way too loveblind and lovey dovey. Plus of course we all know Ai Xing will end up picking up the pieces after they make a mistake. And as for Jing Jing, where did her sense of responsibility/loyalty go?? Even if she doesn’t love Ren Wei she should at least be 1) loyal to her FUTURE HUSBAND 2) responsible by not leading on Tian Ze/agreeing to his request/prancing around with him the day before the wedding. I wouldn’t want that either. Their love went from being the pure and innocent first love to a very clingy selfish love. And what kind of relationship did they have? It wasn’t a healthy one. Sure, couples fight, but they fought (and might as well say broke up – even tho the words weren’t said, they were implied in some of their fights) ALL the time and poor Ai Xing was stuck in the middle trying to mediate and get them together again (which also wasn’t a good thing either). Ultimately, I think you’re right. They’d get back together, something would happen again and Jing Jing would bail again and poor Ai Xing would have to pick up the pieces again. Although, they’d both deserve it if she didn’t. 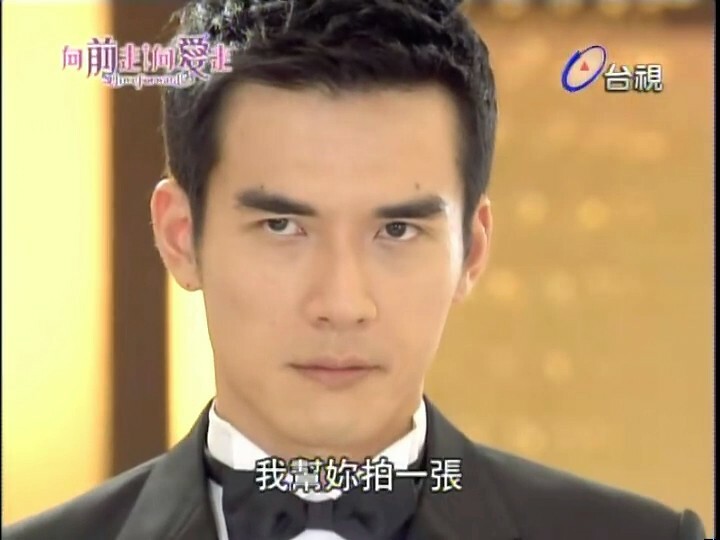 Most of Ai Xing’s and Tian Ze’s fights were more the cute bickering of good friends or couples. And when they got into heavy real fights, it was for real reasons and not the silly stuff that got between him and Jing Jing from the beginning with both sides not backing down and believing they were right. Did Jing Jing ever have a sense of responsibility and loyalty? j/k I know she did, but boy did it evaporate fast. Yep, even without love she should have been loyal to the man she chose AND not hurt Ren Wei and Tian Ze by doing that last day together the NIGHT before her wedding. Ren Wei had every right to be upset by that. Also Jing Jing & Tian Ze weren’t very mature when they got into a relationship in the first place. At least Ren Wei & Ai Xing are really experienced..not in love, but at least in their jobs. I guess Jing Jing thinks she’s being loyal to Tian Ze by not falling in love with Ren Wei. That’s a distorted view of loyalty on her part..plus she doesn’t understand that not letting go of Tian Ze will only hurt him & Ren Wei more. Thanks for the explanation. It does make a teensy bit more sense now, lol.